She heads to the bathroom before checking in with the Emergency Room receptionist. She knows it will be a long time once she passes into the hospital labyrinth before they give her a bathroom break. That done, she approaches registration to outline her symptoms: pain in her shoulder radiating down her right arm and up her neck toward her ear, pain in her jaw, and numbness in her fingertips and lips that comes and goes. Yesterday she pitched 100 bales of hay off the back of the hay wagon and stacked them in the barn. Then she helped load firewood on the trailer to take home and stack for feeding the wood stove this coming winter. Did that behavior trigger her current state? The day before that, she fell because her right leg didn’t lift as high as her brain thought it did. She caught it on a barrier fence in the garden. The catch of her foot in the fence sent her sprawling to the ground. Before stepping, she made a mental note to step high. But her foot didn’t do what her brain told it to do. Did she miss a warning signal? The accumulation of symptoms finally drives her to visit her physician’s office for a consult. On hearing her symptoms, the medical office staffer turns her away at the front desk, directing her to go straight to the emergency room. The hospital triage nurse prioritizes her as an emergency; she doesn’t have to wait in the waiting room. She is taken straight back, put in a hospital gown, hooked up to a cardiac monitor, and plopped into the bed in direct sight of the nursing station, curtain wide open. A handsome doctor walks by. As a single girl, her eyebrows raise and eyes brighten, in anticipation of making eye contact with him. Her expectation is interrupted by an alarm buzzer. Her blood oxygen is low. The nurse bridles her with an oxygen hose up the nose. Now she prays the good-looking physician never comes back. The hours grind by, marked by episodes of needle pokes by phlebotomists, body wrangling by technicians and claustrophobic rides into the MRI tube. Trapped on the uncomfortable cot, she thinks about all the possible outcomes. She decides that her misadventure today is a prompt to appreciate what she has. In fact, whatever life is throwing her way—outside of this damnable hospital visit—is looking good. More than good. Life looks great. She wants it, troubles and all. In time, she gets the second chance she asked for. Her symptoms aren’t life-threatening after all. She has an impingement in her shoulder that is pinching a nerve bundle. Physical therapy will cure the problem. As she leaves the hospital, she notices the birds singing. Funny. She never heard them on the way in. Some authors have questions about how to effectively use quotations of others’ material when writing. The first lesson is identify the source when you use a quote. Make it plain to the reader of the material who is the rightful author/owner of the quotation. Do not imply or suggest the words you quote are your own. You can mislead by omitting to name a source. Without a source reference, the implication is that the written words are your own. In criminology jargon: they created an intensely criminogenic environment. Institutional corruption is killing people’s trust in our government and our institutions, which is one of the reasons the economy is faltering again. Indeed, polls show that very few Americans believe that the U.S. government has the “consent of the governed”, a higher percentage of Americans liked King George during the Revolutionary War than like Congress today, and people are publicly discussing whether it’s a good or bad idea to “hang bankers”. If you could choose to live forever right here, right now, would you? This story prompt via JaY-Z’s song “Forever Young” poses the question. Let’s answer it with a story. 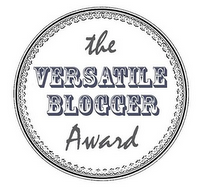 Thank you to Paige Nolley for the nomination for the Liebster Blog award. Paige is a writer working toward the goal of generating (and selling!) multiple novels. Please visit her blog at http://paigenolley.wordpress.com and say hi. Tell her Fay sent you. The Land of 100 Posts. Do you want to create a successful blog of your own? Read this. What Happens after the Editor Says Yes? Carrie Rubin does an excellent job answering that question in her post “Contracts, Edits and Errata.” It goes to show how green I am when I confess I didn’t know what an errata is. Carrie explains it and a lot more. She received an acceptance letter a year ago. It has taken months to go through the editing, re-write and fix process. Now her novel is ready for publication. Next month is the release. Please visit the link below to learn what happens after the editor says, “Yes, we’d like to publish your manuscript.” Some would say that is when the real work begins. And, oh yes, congratulations Carrie! The Chief of Police is silent. Six pairs of eyes focus on him, trained to read the faces of men to reveal what is in the heart. At the moment, the face of the Chief is tabula rasa. Under the circumstances, the eyes stay riveted to the chief’s face, mining data from each subtle nostril flare, each bat of an eyelid, each pupil dilation. Standing, the Chief hands off the cell phone to an assistant, straightens his uniform coat, then locks eyes with his audience. The detective uses the Chief’s computer to find it. The search returns several references to the article, as it has been printed not only in the San Francisco newspaper, but also in the Huffington Post and on various Internet web sites. The Chief scans the article as the detectives peer over his shoulder. It takes weeks of coordinating investigative efforts with global law enforcement and intelligence organizations to turn up bumpkus. The police entities can’t identify who is behind the mayhem. The killings have stopped: the spree is short-lived and focused. Nowhere is there sympathy for the victims. Over and over, excerpts from the Angelides article appear on television. In coffee shops, barbershops, taxicabs and airports, the buzz is the same: the banks and their leaders have faced no real political, economic or legal consequences for their wrongdoing. The banks are cozy with the regulators and with legislators. Wall Street is solipsism, a world of utter madness that, till now, others could not affect. Somewhere in Hong Kong, an octogenarian is on his deathbed. He is thinking about the Year of the Dragon; it is a year of bravery, of passion, a time to eliminate negative chi from the past. He considers his life. He has been favored in business and industry. His personal fortune exceeds the total economy of many individual countries. Before he dies, he wishes to leave a gift to his children and grandchildren. He believes he has done it. He believes he has made their world better. He is watching the news. The broadcaster describes a global reordering of the financial world. In the aftermath of the multiple murders, fear seizes those who ran the old order, and they flee to hide in their hidden bunkers. Systems that have been in place for decades are being disassembled. The central banking system breaks up into small localized units. Fiat currencies are replaced with asset-backed money. Sovereign debts are forgiven. Taxpayers are off the hook. Governments cut size and balance budgets. International banking criminals are arrested and prosecuted vigorously. Optimism and hope are in the air. Economies will be rebuilt. He can die in peace.